TROUBLE GETTING IN THE ZONE? Use Nujible to get a subtle, periodic nudge to remind you to stay focused while in class, while reading, while studying, or anytime you need to concentrate! NEED TO TRAIN YOUR SCATTERBRAIN? 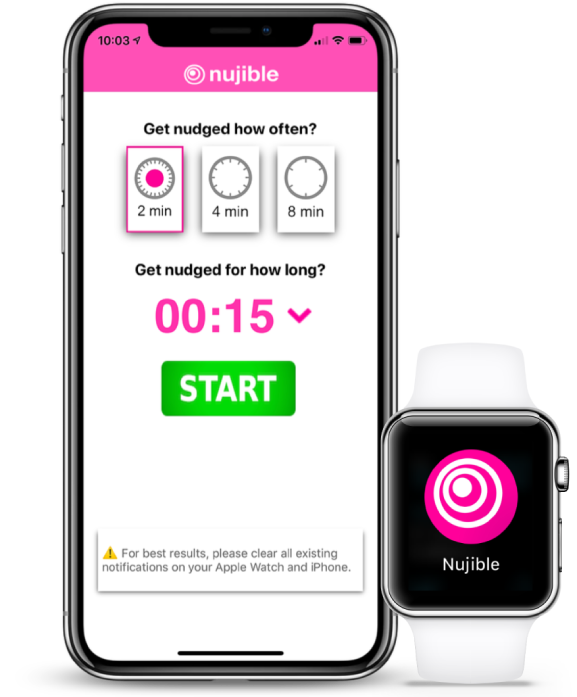 Nujible is a tool to periodically redirect an overactive mind from persistent distraction. It is ideal for people who have trouble concentrating, are easily distracted, or have ADD/ADHD issues. Get a subtle and silent buzz on your Apple Watch or iPhone every few minutes. In a short time you will learn to treat every buzz as a nudge that reminds you to get your head in the game! Use Nujible to help remind you to pay attention in class, stay focused while reading, stay alert during meetings, concentrate while studying and more! 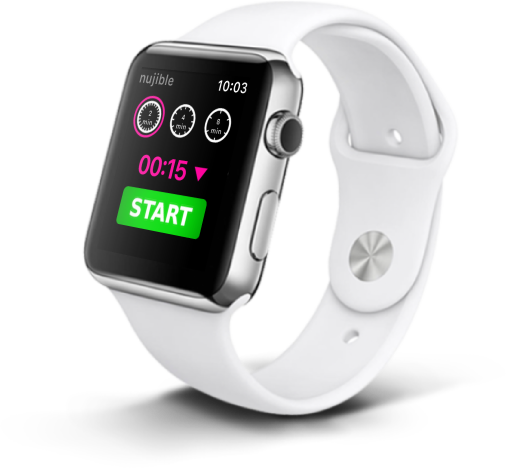 From your iPhone or Apple Watch, simply set how often and how long you want to get nudged and go! Nujible is free to use and only $1.99 to unlock all settings. READY TO GET FOCUSED NOW? Defeat distractions. Fight daydreams. Conquer your wandering mind. Featured in Unbelievably Useful Apple Watch Apps 2 by DailyTekk! Comments, questions, suggestions? We would love to hear from you! Copyright © 2018 Nujible. All Rights Reserved.